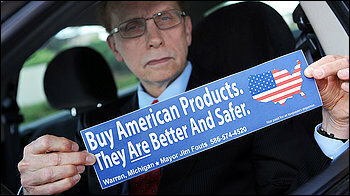 James “Jim” R. Fouts is an American Elected Official and the incumbent Mayor of the City of Warren, the third largest city in Michigan. Before being elected Mayor of Warren, Jim Fouts served multiple terms on the city council, where he worked tirelessly to resolve many issues concerning Warren residents. His dedication and commitment to spearhead multiple efforts to improve the basic services and quality of life for Warren Residents quickly developed his reputation as the “Warren Neighborhood Councilman”. James R. Fouts was elected Mayor of Warren in November 2007 defeating the challenger, City Clerk Richard Sulaka, receiving 62% of the votes... The Mayor’s continued service to the City was again rewarded by the residents of Warren who cast 81% in favor of Jim Fouts’ during the 2011 re-election campaign, in which he defeated the challenger, Councilwoman Kathy Vogt., by by a historic margin, receiving 81% of the votes cast. This was to be a short term record, as again in November 2015, Mayor Jim Fouts was honored once more for his many achievements and contributions to the City of Warren by winning re-election to his third four-year term by a margin of 84.7 percent to 15.3 percent. 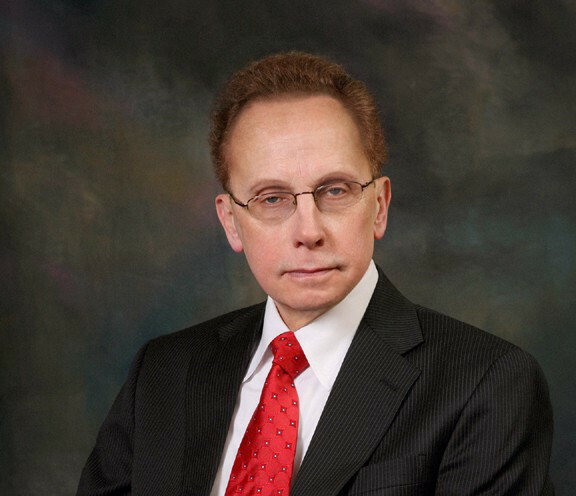 Mayor Jim Fouts is the first Mayor in the History of the city of Warren to receive more than 80% of the votes and has “widespread support across the city” of Warren. While in office, The Mayor’s accomplishments are many and include a myriad of reforms and initiatives that have greatly improved the quality of life in Warren. His cost saving initiatives saved the city significant expenditures by consolidating and streamlining multiple city departments. Those initiatives not only streamlined the city’s Budget and fiscal Policy but also improved the efficiency of city operations and were honored with an Award given to the Mayor. 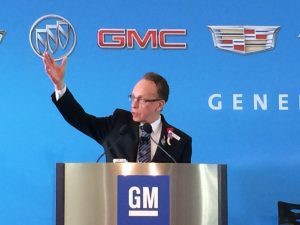 Under Mayor Fouts’ many initiatives, the city implemented a number of programs that connect the community with government and make government more accessible. Among them, a weekly program called Fouts Forum, where the Mayor interviews community and business leaders. Through a coordinated approach spearheaded by the Mayor, such blight sweeps and police sweeps, some of which were personally supervised by the Mayor, have produced a steady decrease in both property crimes and violent crimes. Mayor Jim R. Fout’s effort to attract high-tech industry, along with automotive manufacturers and suppliers has created a sprawling downtown area which has houses a mix of start-up businesses, incubators, and accelerators alongside established industry giants and a multitude of public amenities. The Mayor’s efforts have brought companies such as General Motors, who have invested $1 billion in a new GM Technical Center, the development of the Chrysler Manufacturing Complex, also known as Dodge City, which has become a major producer of the popular Ram and Dakota models and many other research and manufacturing operations. These initiatives have also produced new developments, new shopping centers, and supermarkets such as Meijer and Menards. The Mayor’s revitalization and clean up initiatives have greatly increased the quality of life for the residents of Warren. His continued efforts in revitalizing the Warren community with his aggressive city “clean-up” have addressing nuisance and abatement for businesses and residential dwellings and garnered the attention of the national media impressed with such efforts. His unique approaches to solving issues, have resulted in a first of its kind, public-private partnership that has set a comprehensive road important plan in motion. The Mayor also garnered national attention with his first of its kind ethics ordinance and a “Buy American” campaign. Prior to his election to Public Office, Jim Fouts dedicated himself to public service by teaching, among other subjects, political science and government, and psychology to students attending the Warren Consolidated Schools District. Some of the personal sacrifices made by Mayor Jim include giving up his city issued car, gas mileage and pension and does not take vacations. Mayor Fouts has an open door policy in the office but will often take calls from Warren residents during off hours as well as on the weekends. One of Mayor Jim Fouts’ personal heroes is the Former President Harry. S. Truman, a man greatly admired by the Mayor for his honesty and work ethic. You will often find on the mayors desk Harry Truman’s motto, “The Buck Stops Here”.